By Costa Maragos Posted: March 6, 2017 9:00 a.m. 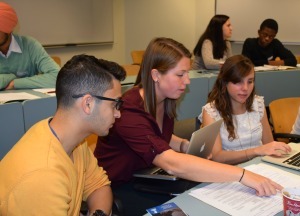 Some U of R students are helping international students acquire skills to apply for jobs. “Breaking Barriers” is a day-long session hosted by students from various faculties who are members of the group Enactus Regina. The next session is March 10, 9:30 a.m. to 4:30 p.m. in the Education Building (ED 616). This will build on the success of the workshops that have been taking place for four years. The one last fall attracted more than 30 international students as well as the mentors. That session attracted about a dozen people from the local business community also took part by leading seminars and conducting speed-networking sessions. The workshops cover resumé and cover letter writing, networking and interview skills. Students were also offered the opportunity to network with business professionals in the community. The day was made possible thanks to contributions from the Better Business Bureau, Deloitte, CIBC, MNP, Virtus Group and participation from many local organizations. 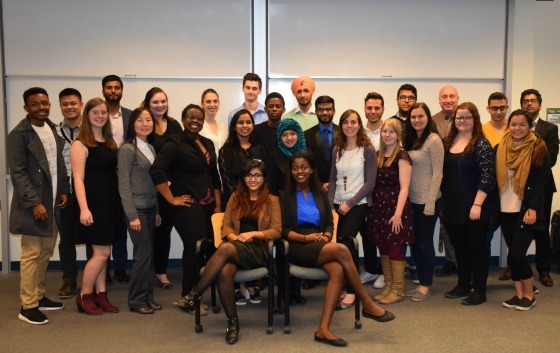 Enactus Regina is a team of more than 50 students, faculty and community members working to create change locally. Students from all faculties take part. To register for the next Breaking Barriers session March 10, please visit here for contact information.